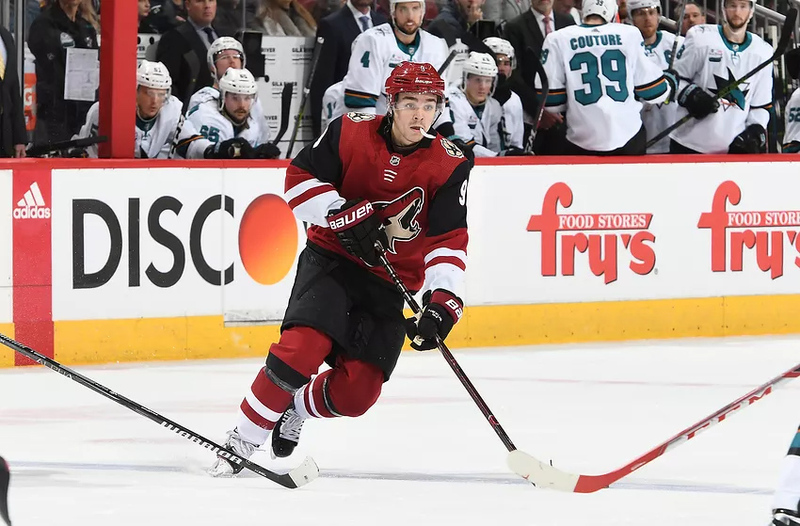 Clayton Keller has had a strong start to his career with the Arizona Coyotes and has earned himself another accolade in just his second full season with the team. Having already been named to his first-ever NHL All-Star Game this season, Clayton Keller, the sole representative of the Arizona Coyotes at the game, has gone and broken a franchise record. Keller is arguably the Coyotes’ best young player and has a long and bright future ahead of him in the NHL. But that hasn’t stopped him from making an immediate impact in the desert, breaking a record that was previously set by Max Domi. The record sees Keller become the fastest player to register 100 points since the team relocated to Arizona, ignoring previous records set by the original iteration of the Winnipeg Jets. The record that Domi held saw the now-Montreal Canadiens forward register 28 goals and 72 points in 154 regular season appearances. Keller has broken that record by 22 games – registering his first 100 points (33 goals and 67 assists) in just 132 regular season games. The 20-year-old from Chesterfield, Missouri is already forging a great career in the NHL and fans will be eager to see him continue on this upwards trajectory – with Keller the most logical player currently in the organisation that could challenge Arizona Coyotes legend Shane Doan in the future. With the team needing to continue to build on offence, having a strong young core is crucial and Keller has already established himself as the focal point of the team’s attack. Barrett Hayton looks to have a bright future ahead also, and will no doubt look to Keller’s development within the organisation as a benchmark for what he could aspire to achieve. The two could one day find themselves playing on the same line together – a sure sign that the organisation’s ability to draft and develop has come on leaps and bounds since John Chayka’s arrival. For now, fans will just be delighted to see Keller entertain week-in, week-out and hope that the young American can steer them closer towards the playoffs.